VNCI was an economic growth project designed to increase the competitiveness of small and medium-sized enterprises (SMEs) in Vietnam through 1) improved economic governance, particularly at the provincial level, through the Provincial Competitiveness Index and key policy research analysis; 2) demonstration and catalytic work in four industries (information and communications technology, dragon fruit, home furnishings, and banking, which also addressed SME access to credit) to remove key constraints to international competitiveness; and 3) improved access to financing for SMEs. 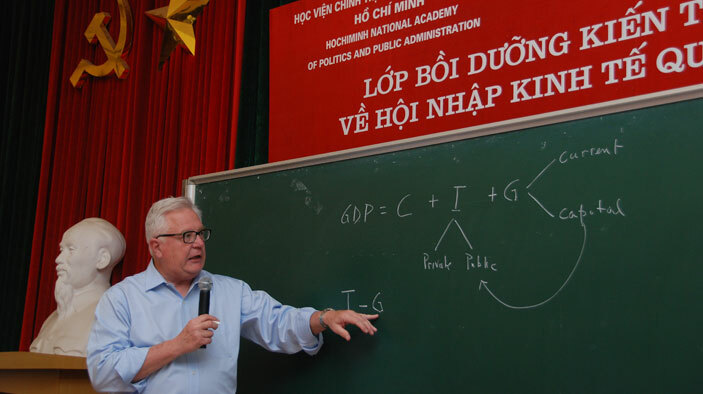 This U.S. Agency for International Development (USAID) project harnessed the booming economic energy in Vietnam and empowered its employers, employees, and consumers. Working under USAID, DAI assisted the Government of Vietnam in implementing the Prime Minister’s administrative reform (called Project 30) that inventoried more than 5,700 administrative procedures, 9,000 legal documents, and thousands of forms in the first National Database, as part of an effort to increase transparency and access for citizens and businesses. Review administrative procedures, make suggestions on which ones to adjust or eliminate. In cooperation with representatives from major business associations and research institutes, introduce hardware, software, and technical assistance to enable all necessary business procedures and required forms to be accessible online. Cost savings to individuals and businesses resulting from Project 30 are estimated to be $1.4 billion per year after full implementation of the simplified rules. Simplified and made accessible procedures for investment, construction, housing, land, and enterprise establishment. Improved countrywide transparency and understanding of administrative procedures. Established the Administrative Procedures Control Agency under the People’s Committee of Ho Chi Minh City, a system of 87 control units that has more than 500 professionals helping coordinate reforms in 24 ministries, 63 cities, and provinces nationwide.